These days there are many services available that can assist potential Tokai buyers or Tokai sellers – or just as a Tokai homeowner for insurance or municipal valuation record purposes. These are publicly accessible services via the web and some have free information some have resources that are available for a modest fee. mydeedsearch.co.za aids in finding Property and Deeds information. 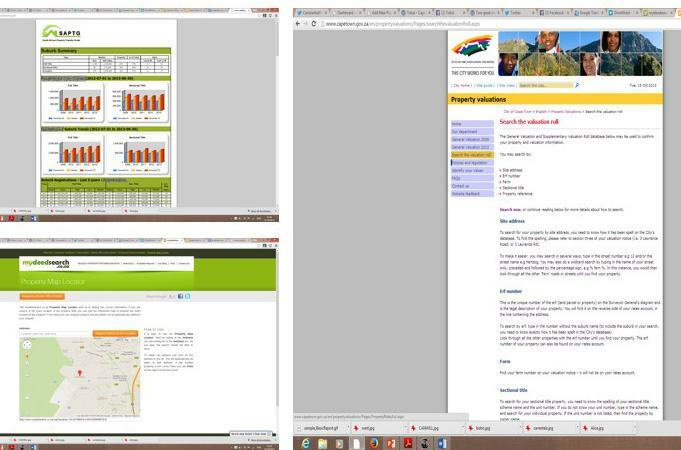 The Cape Town City Council’s valuation website is also a useful resource. The increasingly popular and oddly named property portal “Tivvit” provides a variety of reports from their website in conjunction with SAPTG (South African Property Transfer Guide). Access their services here. Remember that Lisa Rowell as a focused Tokai estate agent in the Tokai office (021 7125029) can offer you a free no obligation valuation.